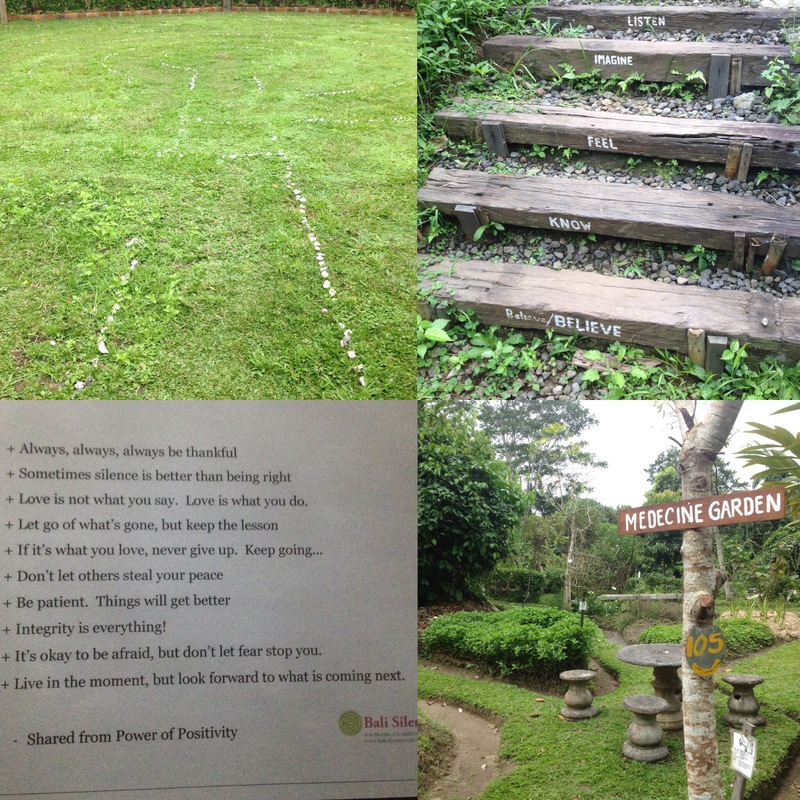 Indonesia Part One: Bali – Poet on page and stage. Creator of She Grrrowls. Facilitator. Writer. Like Laos, landing in Bali smelt of incense, but neither were quite what I expected. We arrived late at night and the taxi whizzed past big bars and large ornamental structures lit up in the night’s darkness. We were greeted by a bed with an elephant towel design and petals scattered around it. We had a pool with fountains, and a garden view, and the next morning we explored the grounds. 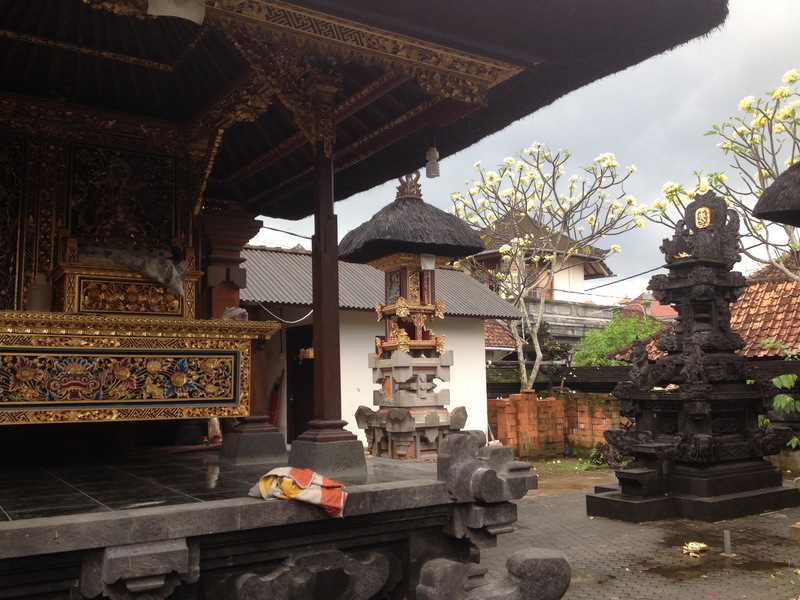 Our host told us that every family has a temple, and she explained the function of various parts, stating that traditionally the home is small and the temple makes up most of the living area, whether used for ceremonies or everyday tasks such as getting rice. 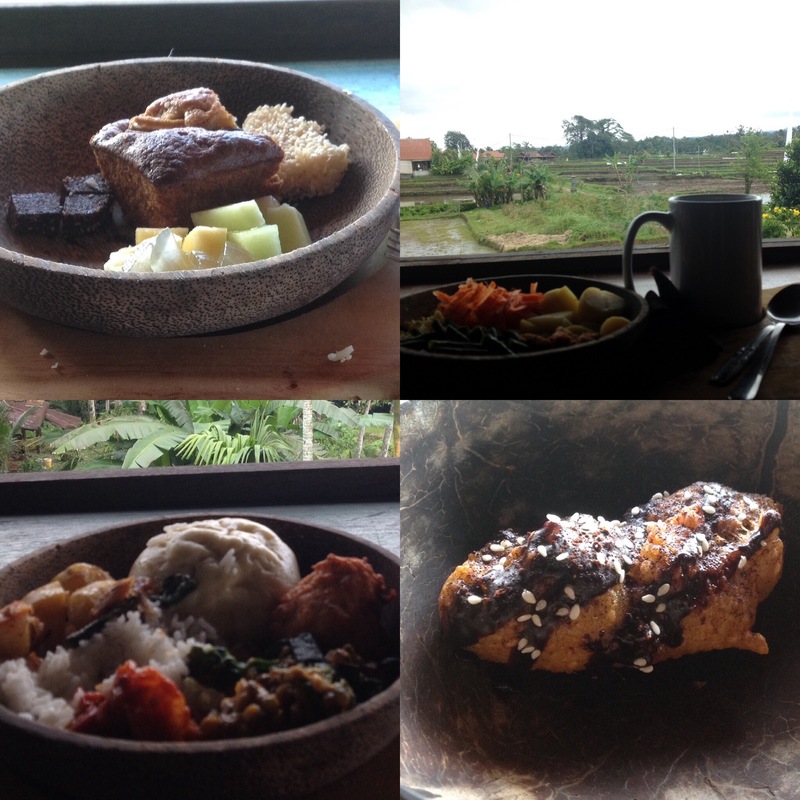 It rained most of our first day, and on the long way round to the monkey forest, we stopped to eat and got a platter of twelve bite-size traditional Balinese dishes. We didn’t know it then, but that was our first try of Tempe. Once the rain had lessened, we carried on our way, and eventually it stopped, and the clouds cleared to make way for a glorious sun. 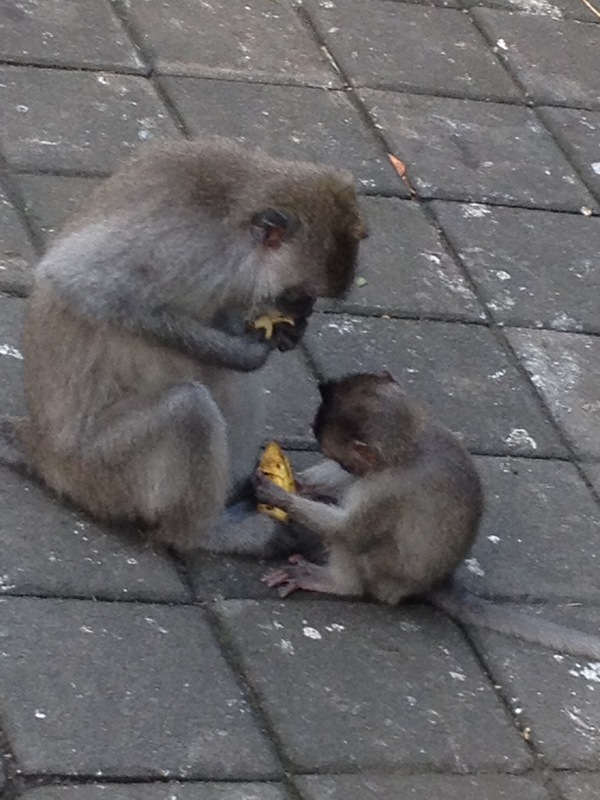 Monkey Forest is a sacred place, with temples not open to the public. You could buy bananas to feed the monkeys, which my boyfriend did (and they went away very quickly – those cheeky monkeys!) It could be scary when they ran after each other and fought, as well as seeing them climb on people, but thankfully I was able to just watch from a safe distance. The forest is worth going just to look at the greenery and waterfalls. 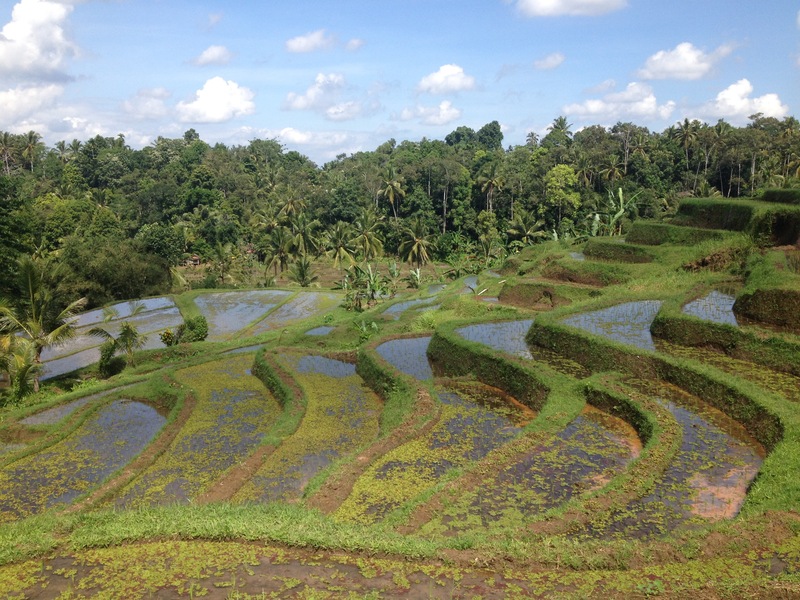 It was definitely the major selling point for Ubud, which was a lot busier than I expected. The traffic was unmoving at certain points, and I had the displeasure of having an American man yell at me to watch where I was going, when in fact I had seen him and he had not seen me cross the road in front of him. I’d also had an immigration officer on a power trip patronise me when I wanted to double check the visa exemption was correct as I had checked and there was different information available for Indonesia, and one source said a visa was needed and cost $20. That was thankfully incorrect, meaning we saved money, but the interaction left a sour taste in my mouth. That night we spent at least an hour looking for Pondok Bambu, and I was thankful to get there on time as I had the wrong start time from the Internet, which was proving ever-more ill-informed. 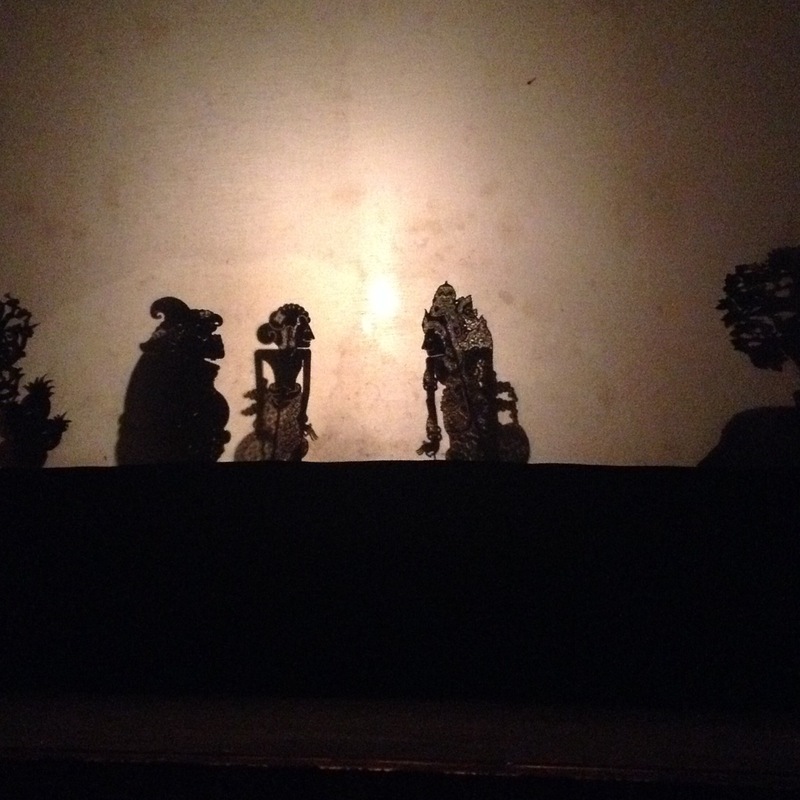 I used to go to the Little Angel Puppet Theatre with my Gran in London, and I wanted to see a shadow puppet show in Bali, and to show my boyfriend one. Sadly, it didn’t measure up. The music and atmosphere was good, but the place was quite dirty and amateur, with the puppets not fully placed down. I didn’t know quite what to make of the mixture of languages, but it’s likely there were better shows in Ubud. 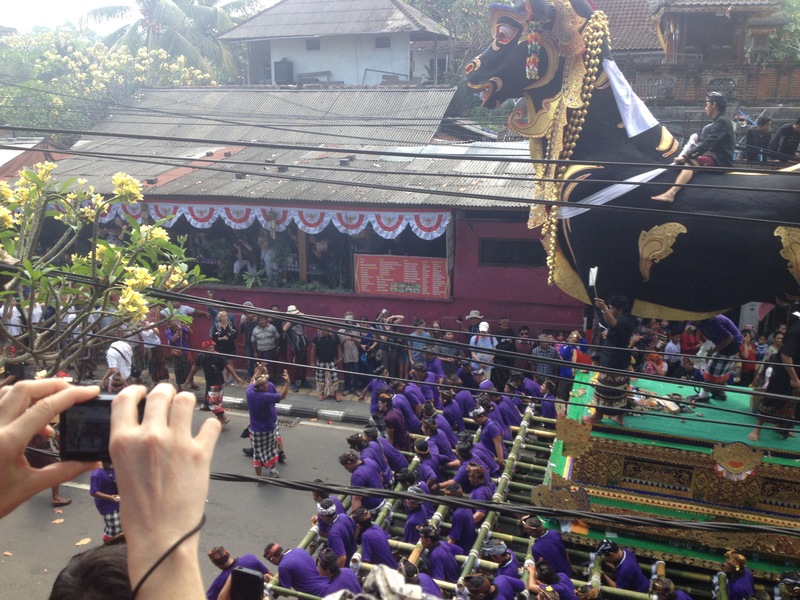 The next day I had booked the Bali Silent Retreat, and we were up early for the taxi, which arrived around 8.30am. After breakfast there, we went on a rice terrace walk. This part wasn’t silent, and I wished we had water with us because it was about 3 hours long, but it felt like a good start to the day. We had lunch, then soon after was the yoga and meditation programme. I enjoyed this part, but was quite embarrassed that I felt asleep during the first half hour of meditation and when I say up, I saw that I was the last one. To be honest, when we had to promise to ourselves that we went going to fall asleep, I didn’t trust myself. I really didn’t want to sleep though as it always makes me feel sick! I had read a bit of the Grimms Tales, but later that afternoon I started “An Abundance of Katherines” after doing a labyrinth walking meditation. I ended up buying it to pick up when I get home after reading it for hours. I felt like me reading was a bit of a cheat as it meant I wasn’t really meditation, but after eating again I read all afternoon into the sunset, where I moved from the indoor sofas to the outdoor hammock, then stared at the stars until I got too cold. We were picked up at 8pm and I had never felt so relaxed and at peace. The next day we were told there was a mass cremation and as we approached, there were hundreds of people gathered. Most tourists were wearing sarongs, and so we were ripped off a bit buying one each; I didn’t mind if it meant showing respect as it was a cremation after all. There were already smaller parts burning, but one of the royal family had died, and for that there was a grand ceremony with marching and lots of drumming. It was very drawn out, and I left my boyfriend there to make our booking at the silver workshop. Though he came soon after, it was a shame he didn’t stay on longer as he wasn’t as impressed by the silver workshop. 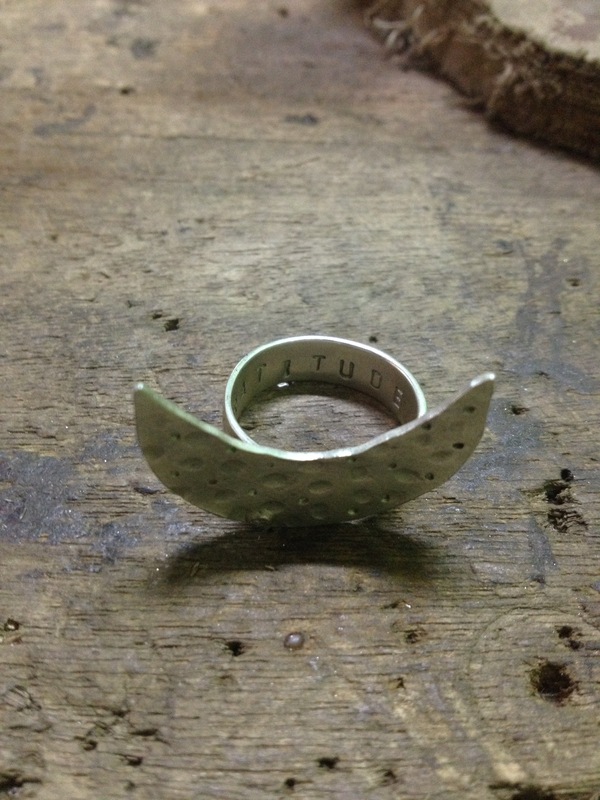 I left happy with my crescent moon ring, where I engraved the word “gratitude” into it, which I think will serve to be a useful reminder in future. Being away I’ve very much felt still with myself, and it hasn’t felt transformative or given me whatever grand thing you’re meant to feel when travelling. I didn’t come here to “find myself”. I know myself pretty well already. But it has given me a wealth of experiences, and lots of time to think and reflect. Away from pressures I’ve put on myself, I now write this whilst missing a poetry night I was very much looking forward to attending and reading at in Kuala Lumpur. So, not much has changed there. I’m still putting these expectations on myself and others and left feeling disappointed when they’re not met. 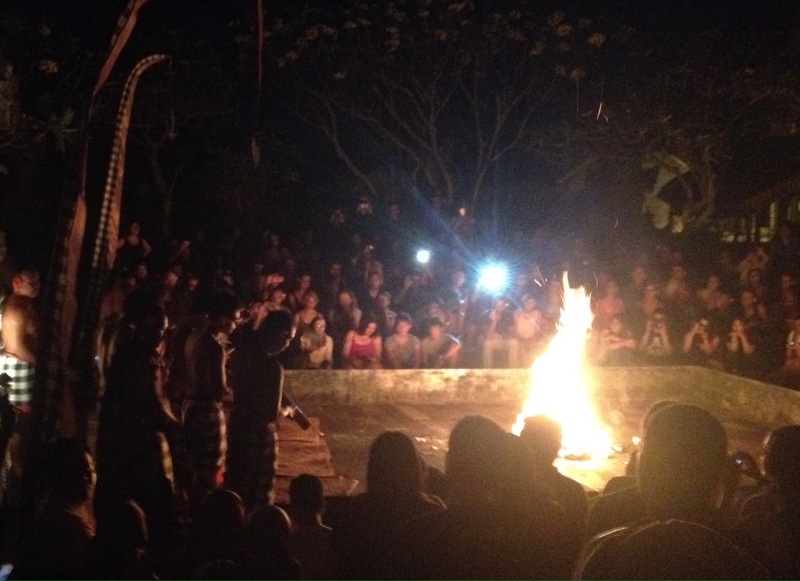 That night I ended up seeing a Kecak Fire and Trance show alone. I thought it was incredible. It turned out I already knew the story as I’d been reading lots of myths and legends prior to going away. But understanding the story didn’t matter as it was just amazing to hear the sounds along with the visuals of the dancing. It was something that couldn’t be captured, though I tried in photographs. Something about it was really powerful and meditative, though at the same time I laughed with another tourist as we both failed to time a photograph. It was perhaps an hour and a half long, but unlike other shows I’ve seen, it didn’t feel long at all and something about watching it was quite healing, and I didn’t get to go to a healer, so that was as close as I was going to get.